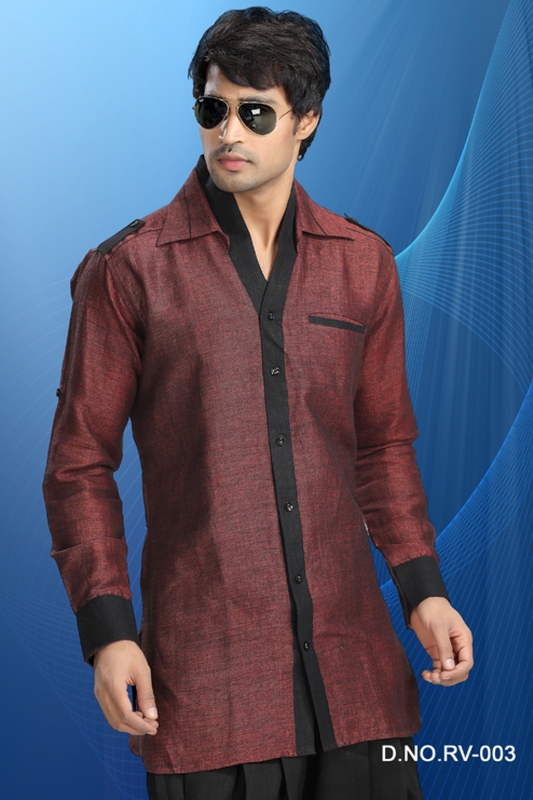 Marvelous Maroon color linen fabric kurta for men having jacket style and double collar pattern. It has a single pocket with turn-up sleeves. Colors available.